With continued growth and plans for new products and features to be included in the Simplytrak system, we’re pleased to announce Ian Wood’s recent appointment to the role of Managing Director. Ian, who has worked for Simplytrak as our Business Development Manager for the last four years, has a wealth of expertise in the vehicle tracking and fleet management industry and will be well-known amongst our customers. “We’ve had some fantastic results over the last couple of years and the business has continued to grow both in terms of personnel and the products and features that we offer to customers. 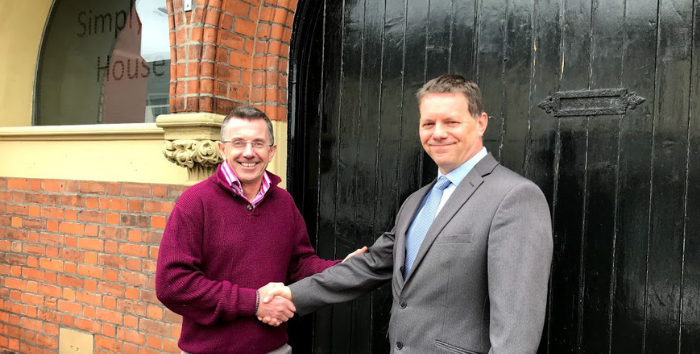 “We’re confident that the business is in safe hands with Ian as he’s already been a vital member of the senior management team for a number of years. Please join us in congratulating Ian on his promotion.